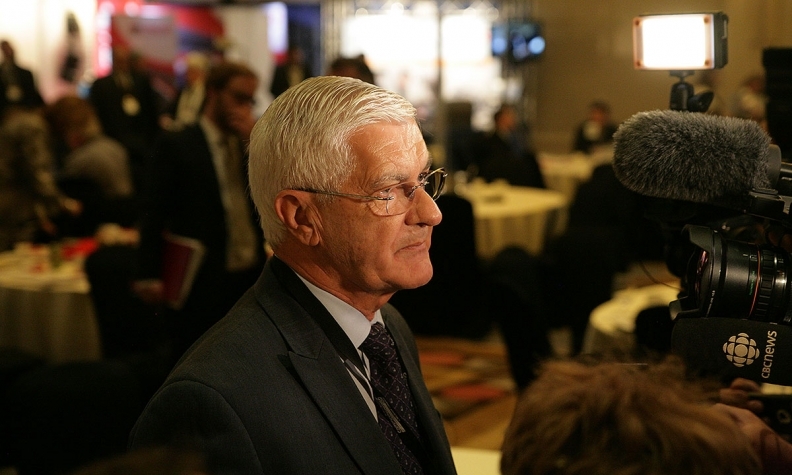 Ray Tanguay: "If you want to attract companies to invest in Canada, you have to have openness and dialogue." WINDSOR, Ont. — Canada must work with the U.S. Great Lakes states and have a continuous dialogue with automakers and parts makers if it hopes to attract new automotive investment, said Ontario and Canada auto adviser Ray Tanguay. Speaking on a panel at the Automotive Parts Manufacturer’s Association meeting here on June 15, Tanguay pointed to the $86 million allotted to Fiat Chrysler’s Windsor Assembly Plant by the Ontario government as a template for how the province and nation should approach automakers. “If you want to attract companies to invest in Canada, you have to have openness and dialogue,” he said. Canada and Midwestern U.S. states have found themselves competing over the last several years with lower-cost southern states and Mexico for new investment from automakers and suppliers, he said. Tanguay said collaboration in working to take advantage of the region’s supply chain between Ontario and the Great Lakes states, including Michigan and Ohio, could help make Southern Ontario more attractive for auto companies. “We need to make sure that we (offer) more value so that we can be cost competitive,” he said. Still, Ontario provides opportunity for employers in the auto sector thanks to a highly trained workforce and lower health-care costs when compared with the United States, Tanguay said. He cautioned the Canadian and provincial governments to be careful with proposals such as Ontario’s cap-and-trade program, which proposes to enter the province next year into a “climate market” with Quebec and California aimed at lowering emissions. Tanguay said automakers, suppliers and policymakers should carefully examine the plan before it is implemented, warning that if it adds costs to employers, it could make Ontario less attractive to the auto industry.